Happy Halloween my lovely seven thirty three friends! I hope you have a frightfully festive day! Now that Halloween is here my brain has checked it off my list and now is looking towards Thanksgiving. I love Thanksgiving! It’s a fabulous weekend filled with food, family, & fun! It’s the perfect way to wrap up a month that is spent focusing on gratitude. 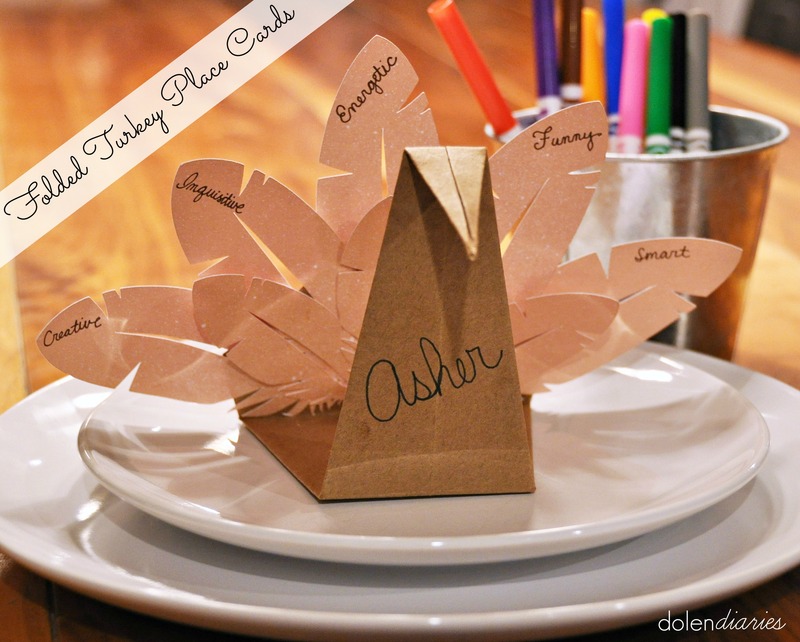 As an adult I love lingering at the table chatting it up with cousins but in order to really enjoy the conversation, the kids need to something to keep them busy while they are at the table. 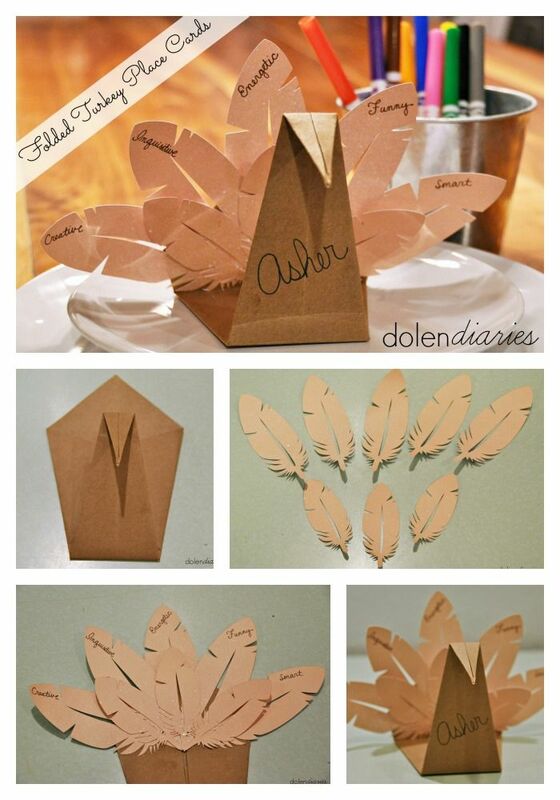 How about decorating their own folded turkey place card!?! 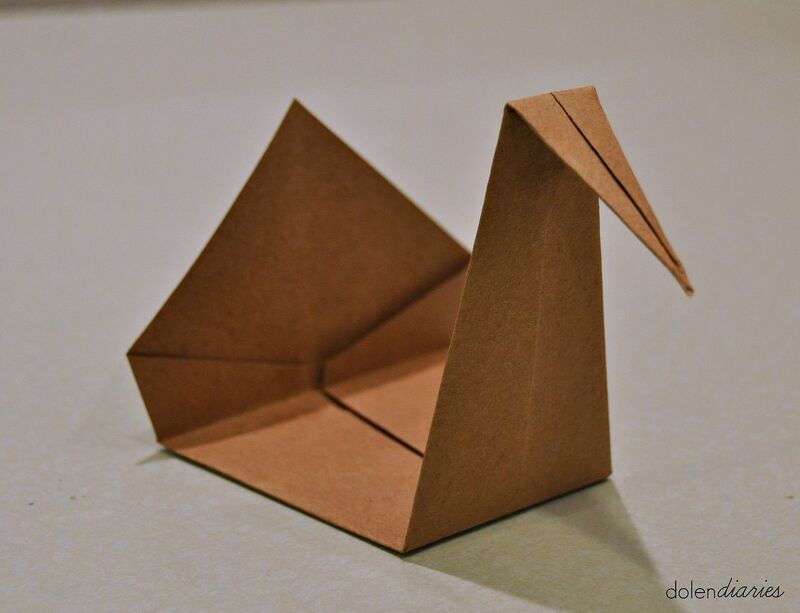 To make the turkey you’ll need to start with a 9×9 sheet of brown craft paper. 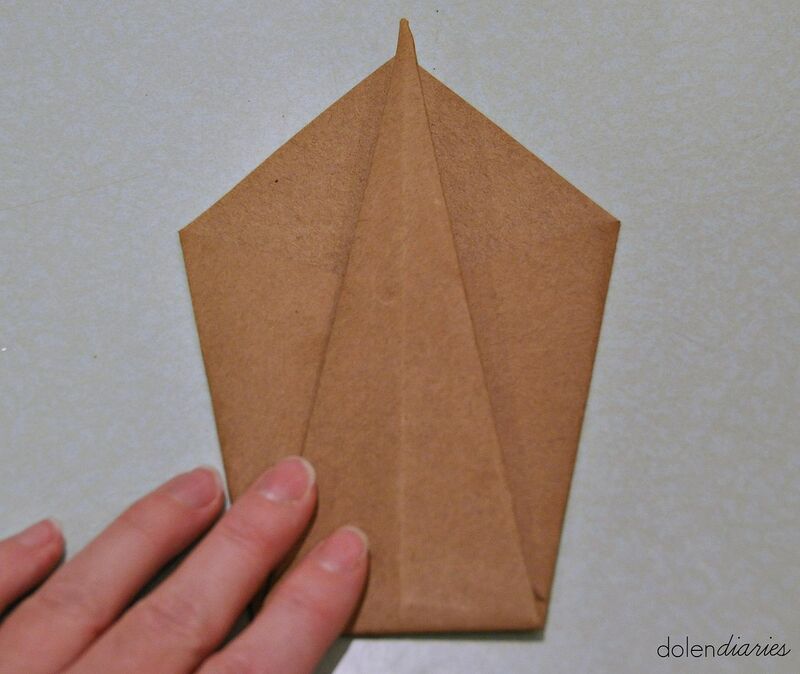 *You want paper with a little weight to it so the turkey will be able to support itself but not too thick like cardstock so it is easy to fold. 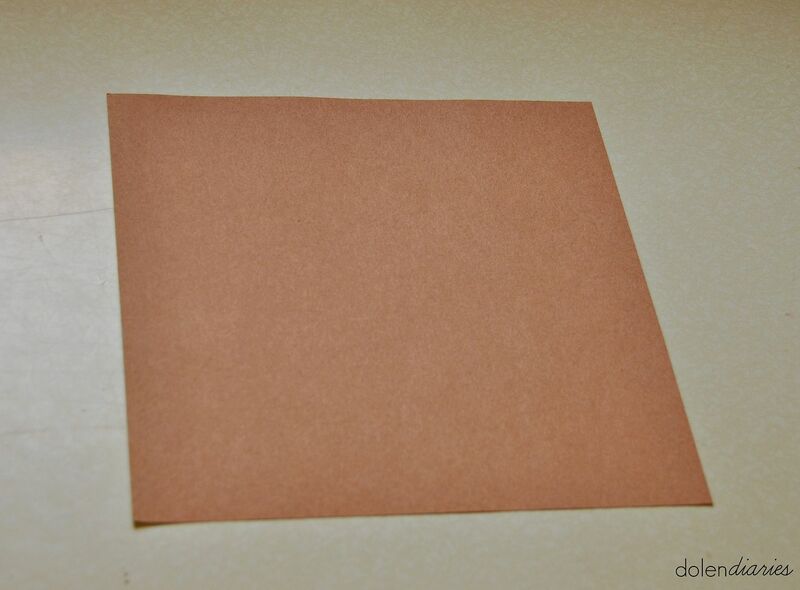 I used construction paper and it was perfect! 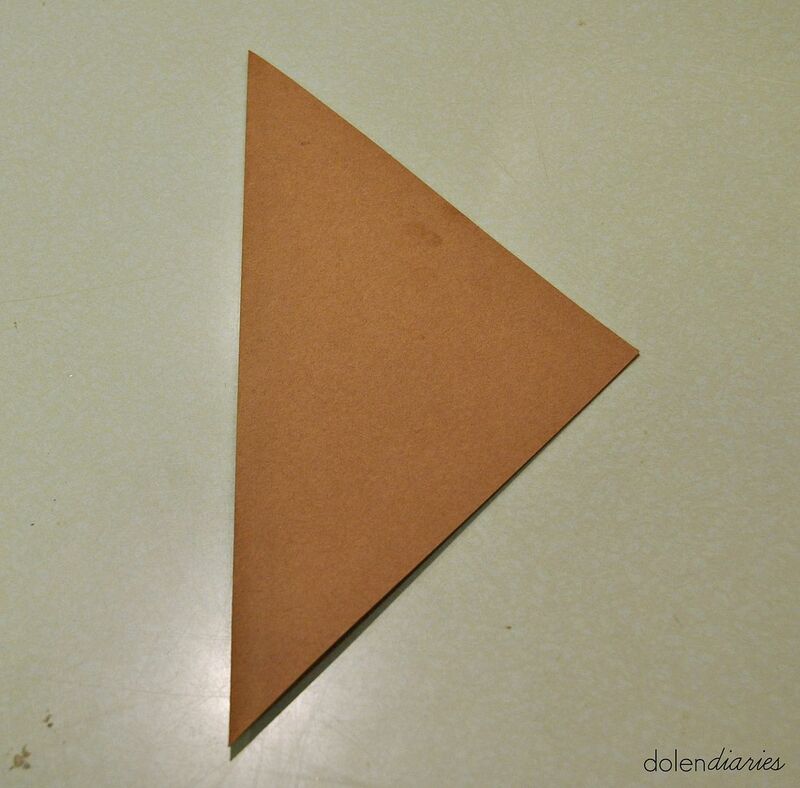 Fold the 9×9 square in half to make a triangle. 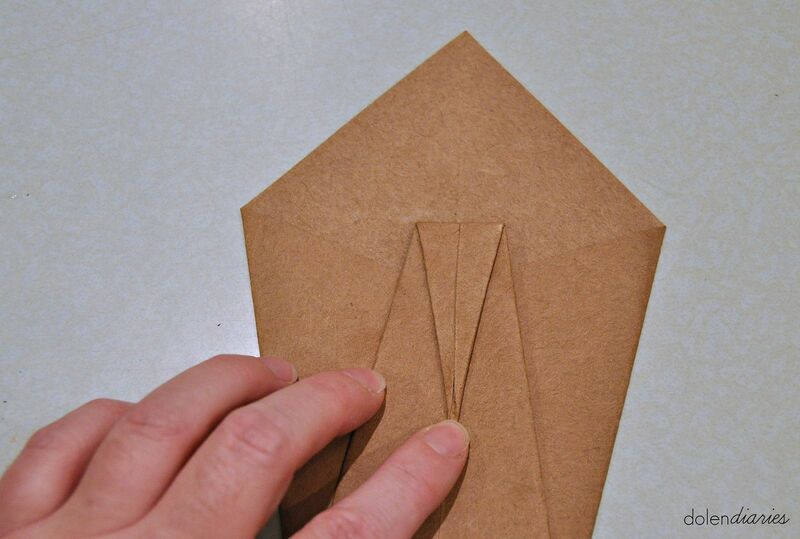 Next, fold in the two corners on each side so they meet in the middle. 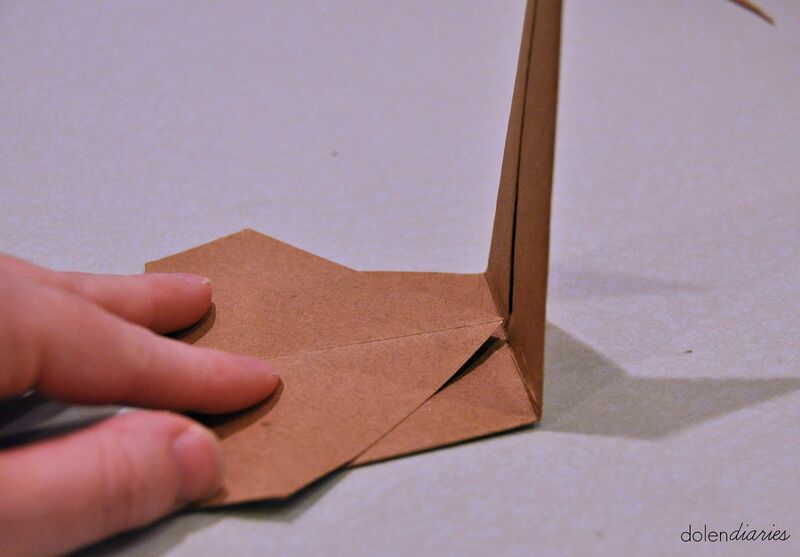 Now fold in the two new corners to the middle. 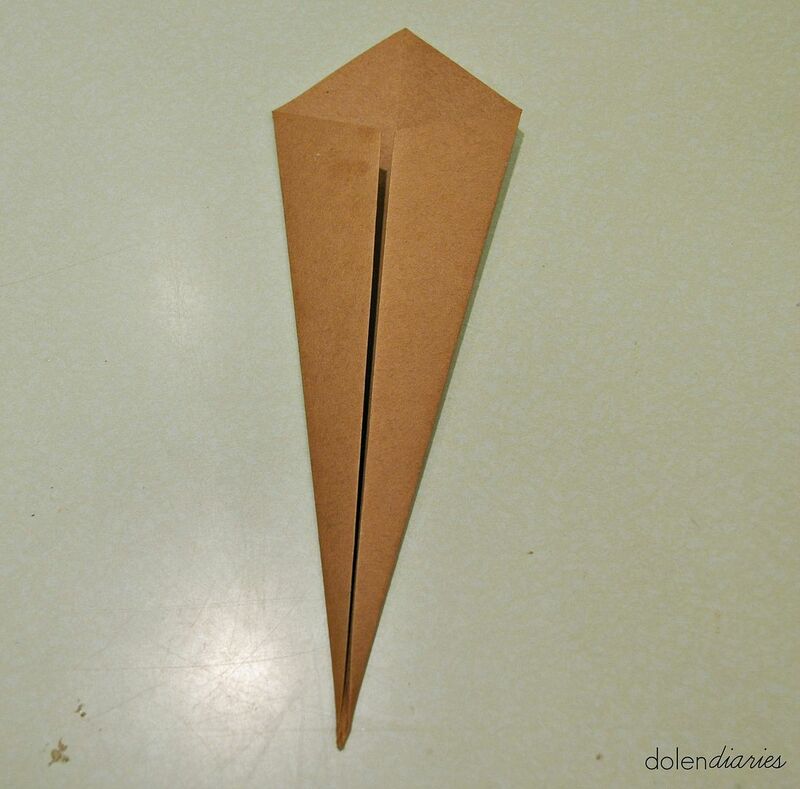 To make the neck, fold the bottom point up to meet the wide top. 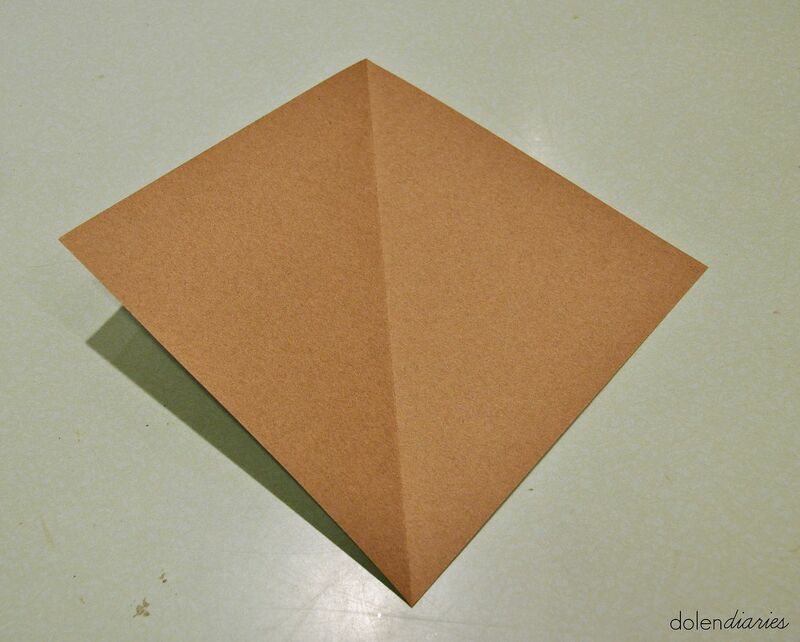 Create a head by folding the thin point down. 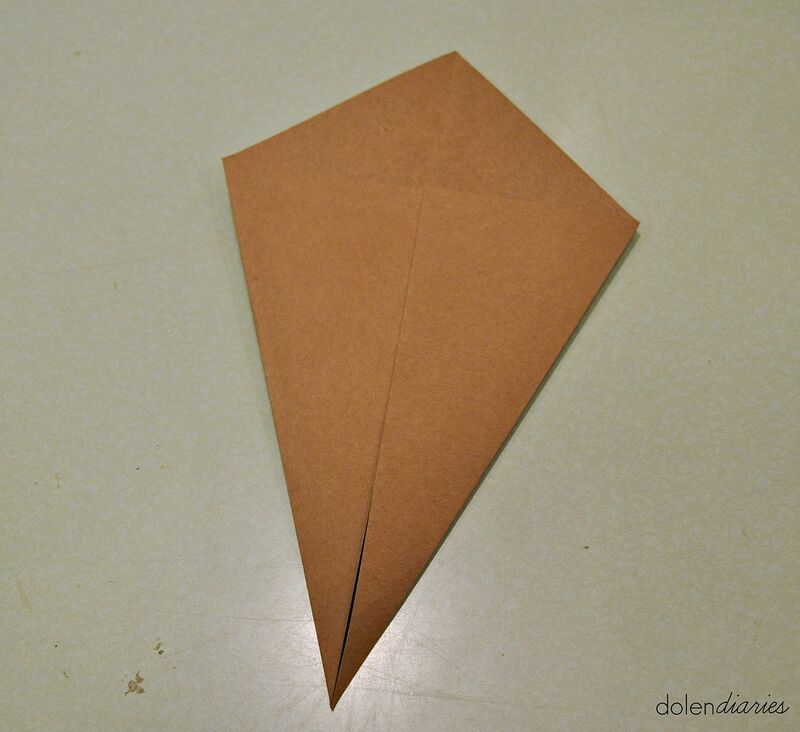 For the tail you’ll fold the wide point up to the fold of the neck. 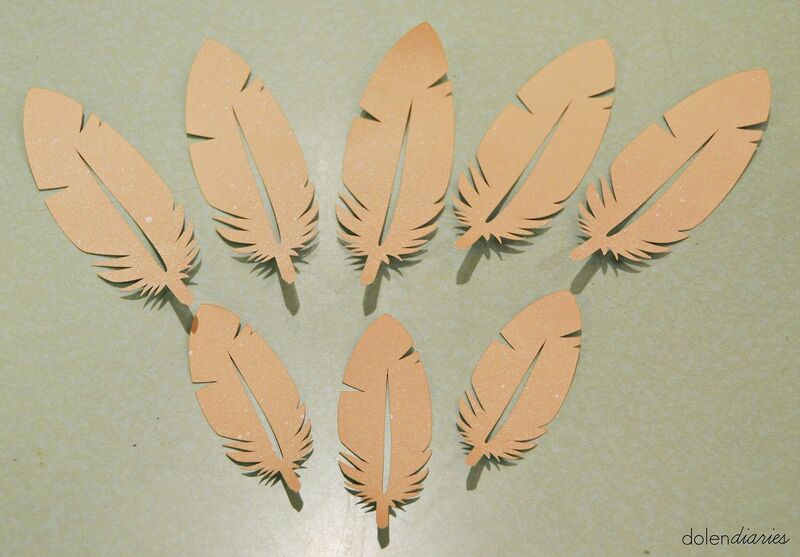 Finally it’s time for the feathers! 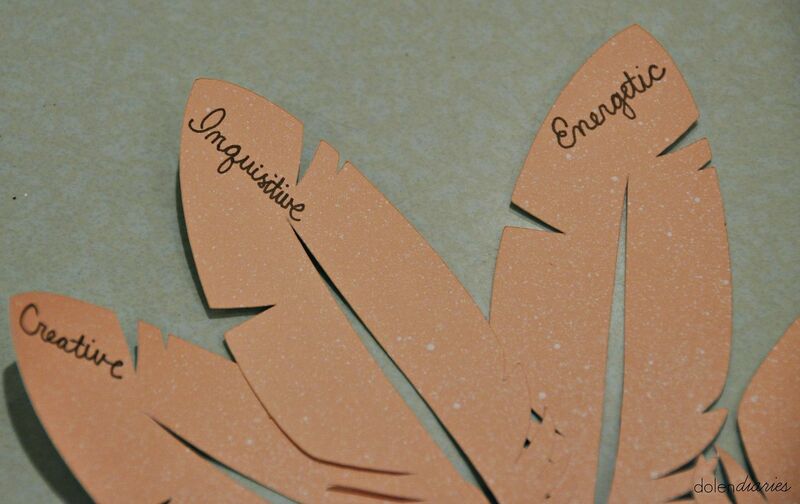 I cut these out using my Cricut but you could do these with any craft cutter or even by hand. I glued the big feathers on first touching the base of the tail. 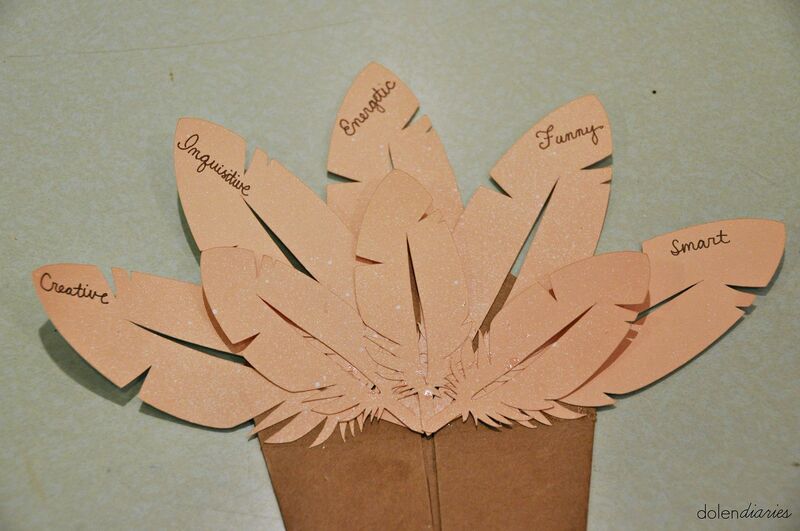 Once I had all the big feathers glued onto the tail it was time to add the smaller feathers. 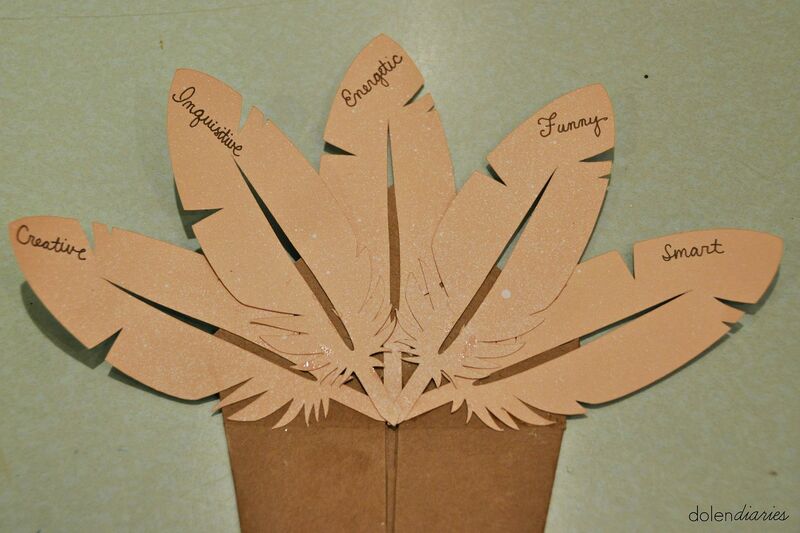 You could make your smaller feathers a different color but I’m digging the subtle color palate with the touch of dimension from the combo of the bigger and smaller feathers. 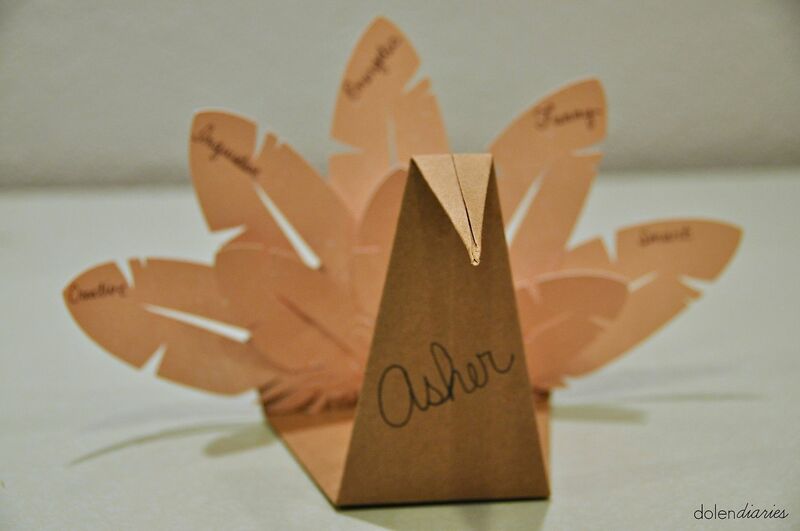 If your kiddos are bigger they could help fold all of the turkey place cards, cut the feathers, and even glue them on after you have a chance to write about them. 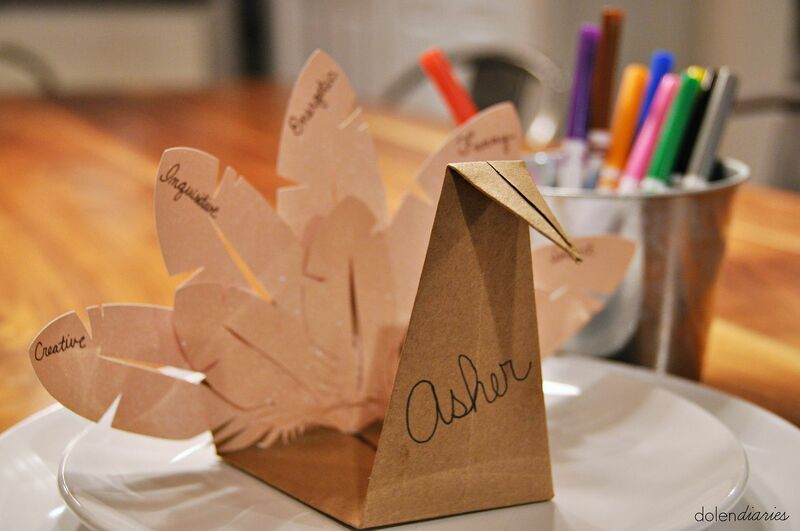 On the big day, your kids will adore their feather messages and enjoy decorating their turkeys while the grown-ups get to chat. Win, win! 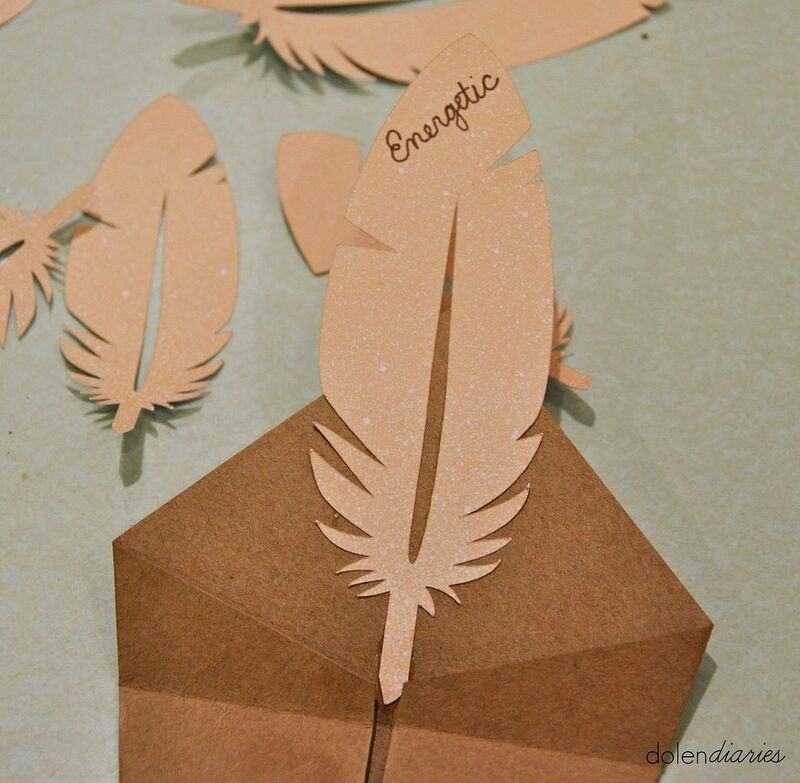 I’d love it if you would pop on by Dolen Diaries and check out my other projects and kids crafts!